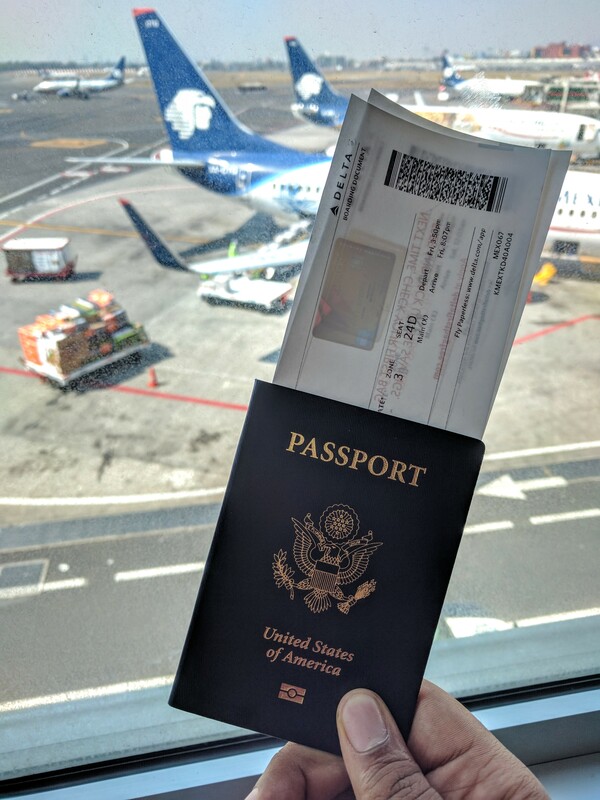 Applying for your First Passport and Visa - Blog Away! If you’re like me, then going on a study away program was your first time leaving the country, ever! So lets take a look at the process of getting a passport and visa for the first time. Applying for your first passport is pretty straightforward as it only involves five steps. However, these steps require a lot of self-motivation and traveling to a handful of places to get the necessary documents. The DS-11 is your first stop and is the general application for the passport. For this, you will need your original birth certificate and a government issued I.D. With both, you will also need to supply photocopies. If you don’t have access to these documents, exceptions can be made with substitutions. This is probably the easiest step. You’ll need a 2″ by 2″ color passport photo. Here in Springfield, I found it easiest to go to Walgreens to get this done. The entire process took around 20 minutes. I would recommend going to a place like CVS or Walgreens to have your photo taken because they know all of the guidelines and requirements for an acceptable photo. For example, your head must be between 1 -1 3/8 inches (25 – 35 mm) from the bottom of the chin to the top of the head in the photo. Which can be hard to achieve by yourself. For an adult, applying for their first passport book, the total cost is $145. That’s $110 for the application fee and $35 for the acceptance fee. For those looking for just the passport card, the total cost is $65. $30 for the application fee and $35 for the acceptance fee. Or if for some reason you feel like you need both like I did, the total cost is $175. That’s for $140 for both the book and the card, and $35 for the acceptance fee. Your next stop will be your nearest post office that accepts passport applications. From there, the application process will take anywhere from four to six weeks for your passport to arrive at your doorstep. Study Away Programs cannot assist students in their visa process, however, most program providers do offer some type of assistance once a student has committed to going. To see whether you’ll need a visa for your program, you can visit https://travel.state.gov/content/travel.html for more information. I know for Mexico, if you’re staying for more than six months, you’ll need to apply for a visa and then temporary residency. I also know (from personal experience) that you do not want your those items to expire while your abroad. Just something to keep in mind. If you have questions about studying away or just want to see how becoming an undocumented student in Mexico worked out, come visit me in the Study Away office in the student union, room 209!